Join the Auburn University College of Veterinary Medicine October 17-20, 2019, as we host the 2019 Annual Conference and J.T. Vaughan Equine Conference. The event will be held at The Hotel at Auburn University and Dixon Conference Center. This year’s program will offer a variety of professional continuing education in various disciplines of small animal, farm animal, and equine veterinary education. We are also providing continuing education courses designed specifically for veterinary technicians. Attendees will have the opportunity to earn up to 20 hours of continuing education. Florida Pharmacy & Laws CE will be offered. Class reunions will also be held for the members of the classes from 1969, 1974, 1979, 1984, 1989, 1994, 1999, 2004, 2009, and 2014. To learn more and register for Class Reunions, click here. Michael R. Lappin is an ACVIM Diplomate (Small Animal Internal Medicine) with a PhD in Parasitology. Dr. Lappin is the Kenneth W. Smith Professor at Colorado State University and he is the Director of the Center for Companion Animal Studies. Dr. Lappin’s research group focuses on infectious diseases of dogs and cats with emphasis on vector borne diseases, respiratory diseases, gastrointestinal diseases, molecular diagnostic assays, and prevention of infectious diseases. Dr. Lappin oversees the shelter medicine program and is the One Health Committee Chair for the World Small Animal Veterinary Association. Dr. Behrend was one of Dr. Lappin’s residents, and she taught him everything he knows. 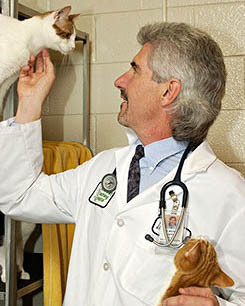 Dr. Simon Platt received his veterinary degree from the University of Edinburgh, Scotland, in 1992, following which he undertook an internship in Small Animal Medicine and Surgery at the Ontario Veterinary College, University of Guelph and a 2 year period in private practice in the England. Dr. Platt completed a residency in neurology and neurosurgery in 1998 at the University of Florida and afterwards spent 2 years as an assistant professor of Neurology at the University of Georgia. In 2000, Dr. Platt returned to the UK where he was Head of the Neurology/Neurosurgery service at the Animal Health Trust until 2006, from which time he has been at the Dept. of Small Animal Medicine and Surgery at the University of Georgia where he is currently a professor. Dr. Platt was made a fellow of the Royal College of Veterinary Surgeons in 2018. 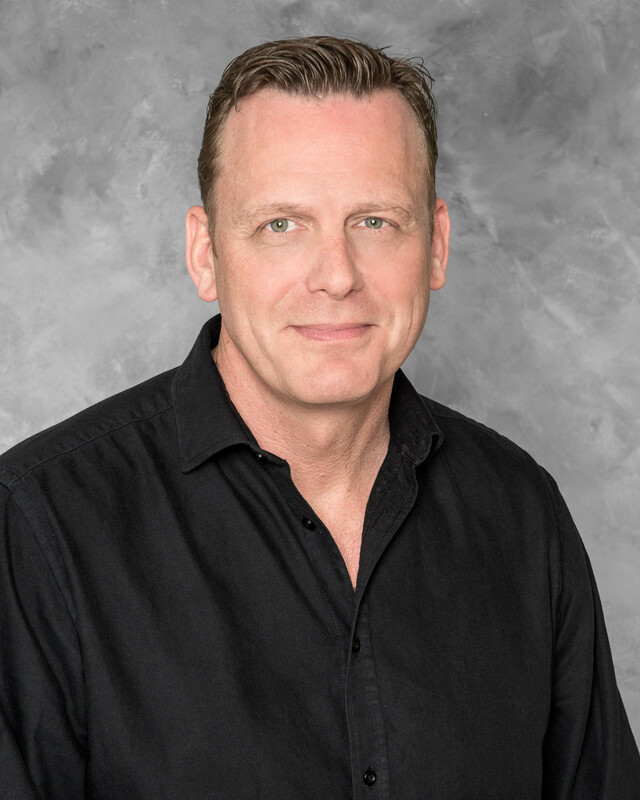 Dr. Platt has authored or co-authored over 200 journal articles and 50 book chapters and is the co-editor of the BSAVA Manual of Canine and Feline Neurology and the Manual of Small Animal Neurological Emergencies. Dr. Platt is Past-President of the ACVIM Neurology Specialty and Founder member of the South Eastern Veterinary Neurology (SEVEN) group in the USA. Currently, Simon serves as Editor in Chief of the NAVC journal Today’s Veterinary Practice. BVMS (Hons), PhD, DACVAA, DECVAA, DACAW, DECAWBM (WSEL), CVA, MRCVS. Dr. Sheilah Robertson graduated from the University of Glasgow in Scotland. Following time in private practice and a surgery internship she undertook specialized training in anesthesia and completed her PhD at the University of Bristol. She is board certified in anesthesia and in animal welfare by the respective American and European Colleges and holds a certificate in small animal acupuncture. In 2019 she received her certification as a Traditional Chinese Veterinary Medicine Palliative and End-of-Life practitioner by the Chi Institute of Chinese Medicine. 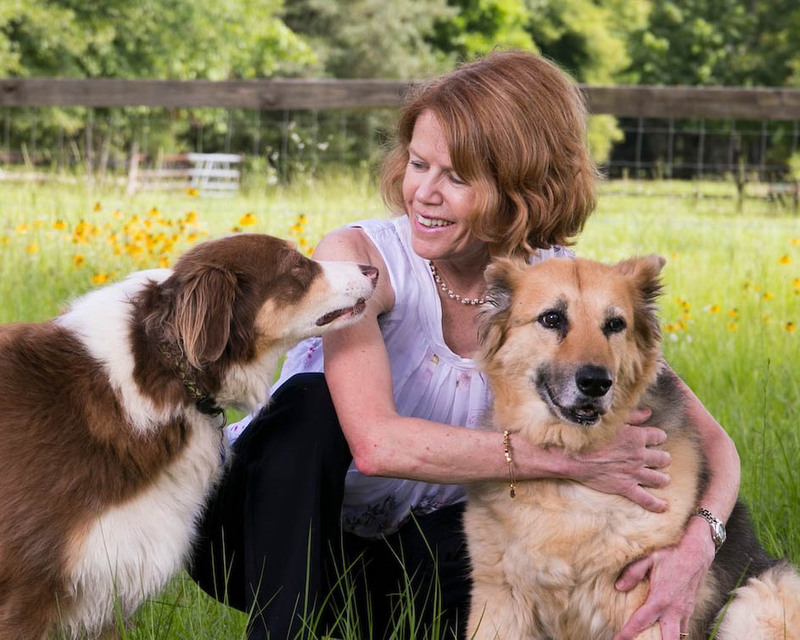 Currently she is the senior medical director of Lap of Love Veterinary Hospice, a large network of veterinarians dedicated to end-of-life care and in-home euthanasia throughout the USA. Dr Robertson is also a courtesy Professor in the Department of Small Animal Clinical Sciences, University of Florida, Gainesville, Florida. 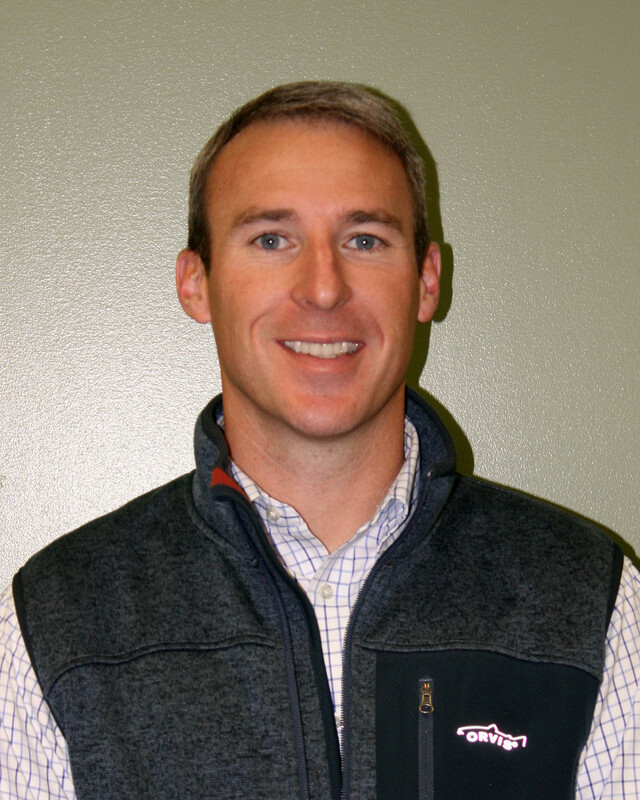 An Auburn ’05 grad, Brad completed an internship at Rood and Riddle Equine Hospital in Lexington, Kentucky. He has remained at RREH where his clinical focus is dentistry: both first opinion and the referral case load for the hospital; as well as having an ambulatory reproductive practice. He loves the clinical puzzle of problem bitting and sinusitis cases, enjoys periodontal and endodontic work along with surgical extractions. Away from practice he breeds Thoroughbreds, coach’s youth baseball and enjoys time outdoors with his wife and kids. You do not have to register for Annual Conference to attend class reunions. Additional questions? Contact Jo Beth Wicks. The second annual Career Connect will be held in conjunction with the 2019 Annual Conference and J.T. Vaughan Equine Conference. This is a networking opportunity for soon-to-be veterinary graduates to create connections with possible future employers. Practices/companies seeking to hire upcoming graduates may register to attend this event. Interested students from the classes of 2020 and 2021 will be available to meet with registered representatives from 8:30-10:30 a.m. on Sunday, Oct. 20 at the College of Veterinary Medicine. Registered practices/companies are limited to one representative. Space is limited, and pre-registration is required to attend. Registration deadline is Oct. 1. Please contact Jo Beth Williford for further questions or information. The Auburn University College of Veterinary Medicine invites you to join us in celebrating our 112th year of providing continuing education and fellowship for veterinary practitioners, professionals, and students at our 2019 Annual Conference and J.T. Vaughan Equine Conference. We are offering several sponsorship and exhibitor options for your company. This year’s program will offer a variety of professional continuing education in various disciplines of small animal, farm animal, and equine veterinary education. We will also provide continuing education courses designed specifically for veterinary technicians. The conference will be held at The Hotel at Auburn University and Dixon Conference Center Oct. 17-20, 2019. A block of rooms has been reserved at the hotel for conference attendees. Reservations may be made by contacting the hotel directly at (800) 228-2876. Mention the veterinary annual conference to receive a group rate.